My mother’s journey through dementia changed my life. As I grappled with my initial confusion and grief, I wrote to make sense of my feelings. I wanted to stay connected to my mom throughout the experience and I wanted to find the gifts and blessings in this journey. Writing helped me understand and capture our family’s changing relationships, our challenges, and our moments of deep, wondrous connection. I became my mother’s spokeswoman and the chronicler of her last days. I had written business books and been published in a myriad of periodicals, including The Washington Post, The Huffington Post, Natural Awakenings, Reader’s Digest, The Chicago Tribune and Unity Magazine. I have contributed essays to more than four-dozen Chicken Soup books and for years I wrote a Love Story column for The Kansas City Star. One day, I realized that I had a new love: writing and talking about the depth, spirituality, creativity, and challenges in the care partner’s dementia journey. Initially I self-published Love in the Land of Dementia: Finding Hope in the Caregiver’s Journey. Using the book as a catalyst, my life partner Ron Zoglin and I raised more than $80,000 for dementia programs. Central Recovery Press subsequently published an updated version of this book. 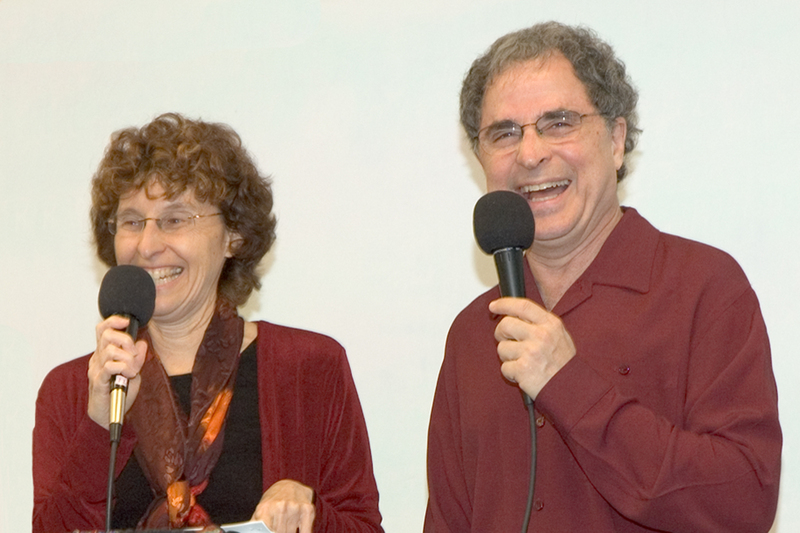 Ron and I have orchestrated workshops and performed my dramatized stories in the United States, New Zealand, Canada, Puerto Rico, England, Ireland, Chile, Costa Rica, Italy, Turkey, and the U.S. Virgin Islands. We have worked with family care partners, healthcare professionals, activity directors, long-term care centers, spiritual groups, and hospice volunteers. By sharing our message of finding creativity and hope in this journey, we have had the joy of connecting with care partners around the world. And in writing this book, Connecting in the Land of Dementia: Creative Activities to Explore Together, we have had the privilege of working with international innovators in the field of creativity and dementia. “The person living with Alzheimer’s is the pupil in God’s eye,” a priest in Florence, Italy, told us after one of our performances. “Your story is my story,” a man in Istanbul, Turkey, said. I’ve been following this blog since you started it, and I think it is wonderful. Therefore, I am nominating you for the Versatile Blogger Award. My post nominating you will go live on my blog on February 26 at http://mthupp.wordpress.com. I hope you will pass along additional nominations of great blogs, but even if you decide not to, I wanted you to know how much I appreciate what you write. Deborah I am trying to email you. Richard Alan Nichols here. Trouble signing into writers group. You are simply amazing, Deborah! I am in awe of all your accomplishments!